Following a meeting between all parties this afternoon, it has been agreed to cancel the contract with Percy Kiangebeni by mutual consent. Since joining the Saints at the start of the 2017/18 season Percy has made over 70 appearances for Ian Allinson’s men, scoring six goals in the process. 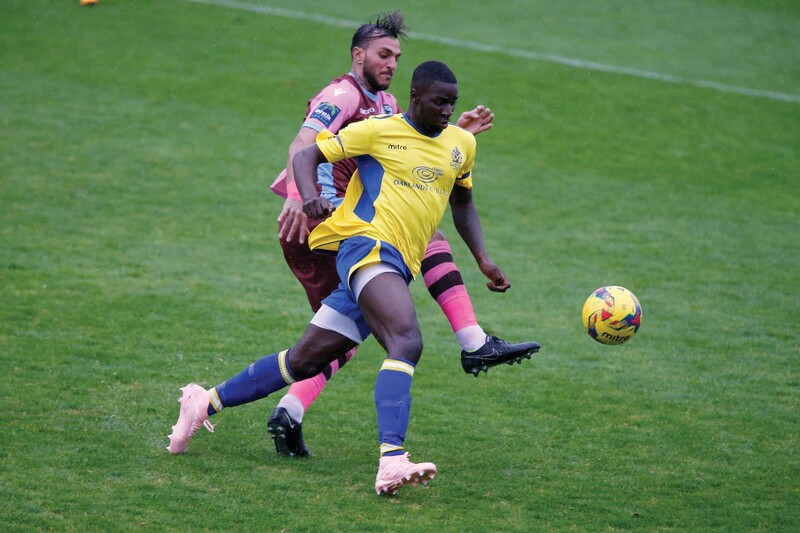 However the midfielder has become increasingly frustrated at the lack of first team football and has expressed his desire for regular opportunities elsewhere. Supporters and Club officials alike would like to thank Percy for his time at St Albans City.